Shemini in Hebrew "The Eighth" is referred to the level of Binah in Kabbalah. This is where all creation is "fed" and sustained. We have the Eighth day of holiday in Sukkoth, which is after Rosh Hashanah and eighth day of Pesach, which is after Rosh Hashanah (for the months) and they are exactly six months apart. After Pesach we count the Omer for seven weeks and on the first day after that, the fiftieth day and the first day of the eighth week we receive the gift of the Torah on Mount Sinai. For a Mitzvah, a couple is connected after seven days of purity of the woman. The Brit of a new born is made on the eighth day. Those few examples tell us about the importance of the Eighth level and the ability to connect to Binah. Moshe was serving in the Holy Tabernacle for seven days and on the eighth day (that was the first day of Nissan and the first day of the year) he was ordered to transfer the duties to Aharon. That was the day of the connection to Binah. Nadav and Avihu were serving in the process of cleansing (sacrifices) Aharon and the nation from impurities and to be ready for the revelation of light of the Holy tabernacle. "וַתֵּצֵא אֵשׁ, מִלִּפְנֵי יְהוָה, וַתֹּאכַל עַל-הַמִּזְבֵּחַ, אֶת-הָעֹלָה וְאֶת-הַחֲלָבִים"
That process revealed a channel to Binah and the nation saw it and fell to the ground with joy and singing. (9:24) "; וַיַּרְא כָּל-הָעָם וַיָּרֹנּוּ, וַיִּפְּלוּ עַל-פְּנֵיהֶם". Nadav and Avihu "נָדָב וַאֲבִיהוּא" were one soul. Their name sums to the value of 91 ((Nadav=56)+ (Avihu=24)+(letters=9) + (2 for the words), which according to Kabbalah, tells a lot about their energy. 91 is the value of Amen "אמן " and the combination of "יקוק" the upper and unpronounced name and the lower connection of "אדני". When we answer Amen to a blessing we meditate on "יאקדונקי" (the letter ק replaces the letter ה for obvious reasons). The word for Angel "מלאך" is also 91. All their essences were to serve and draw the light to the world. When they saw the great revelation of Light (verse 9:24) they didn\’t hesitate to act on it as we read on the next verse that also starts a new chapter (10:1) and scarify themselves for the benefit of all. We are actually benefiting from their selfless action until Mashiach comes (B"H Today, Amen). בִּקְרֹבַי אֶקָּדֵשׁ, וְעַל-פְּנֵי כָל-הָעָם, אֶכָּבֵד; וַיִּדֹּם, אַהֲרֹן.". Rashi explains that with this verse Moshe tells Aharon that the action of Nadav and Avihu put them higher than Moshe and Aharon. On the surface it looks like they did a sin but underneath lays a big secret of spiritual connection. Moshe\’s word to Aharon reveals some of it. "בִּקְרֹבַי אֶקָּדֵשׁ", literal meaning is "with the ones close to me I will be sanctified". The deeper meaning revealed when looking at the words Moshe used. "בִּקְרֹבַי" comes from the root "קרב " which is also root for "קרבן" ("scarifies") and the word "אֶקָּדֵשׁ" from the root "קדש" that means Holy This word relates to connection to the higher level. "קדיש" that we say during the prayers connects us between the different levels of the prayer connection. "קידוש" that is done after the prayer, makes the final and most important connection of spiritual to physical. The letter "ק" is the letter of the ground " קרקע" the "ד" is the letter for humility "דלות" and "ש" is the letter of completion "שלם" and "שלום" (peace). The "ש" related to fire and built from three letters of "ו" that represent the three lines of Chessed, Gevurah and Tiferet (Avraham Yitzachak and Yaakov). (" חגת"). In summary to connect to the Holy we need to create actions below with selfless and humility in order to connect to the upper. "קידוש־השם" is the higher connection. Shemini – I\’m nearly in tears…. Mashiach sent me an email. Yes. Mashiach sent me an email last week. He attached his book of over 1054 pages describing what Mashiach is, the process, his life story (some of it), Lots of Gematria calculations of his name and his family. In the book he presents proof that he is the “irrefutable” Mashiach. Yes. Mashiach sent me an email last week. He attached his book of over 1054 pages describing what Mashiach is, the process, his life story (some of it), Lots of Gematria calculations of his name and his family. In the book he presents proof that he is the “irrefutable” Mashiach. He wanted Ezra, my friend and me, to work with him to be the "King Mashiach". I started reading his book seriously but after a couple of hundred pages I found myself jumping through the pages, all the way to the end. It was loaded with gematria “proofs” that he is the King Mashiach. He is actually on the same mailing list as you and he receives my articles and reads them (maybe with different mind set). Hopefully this article can also be an answer to his e-mail. His book made me happy and at the same time sad. I am happy, because I know of three more people who claimed to be Mashiach. None of them convinced me to be the real one, but who am I to judge? The happiness I feel is in the fact that every such person that comes forward as Mashiach signifies how close we are to the Final Redemption. Many of us believe that Mashiach is already among us. The way I see is like a morning break. You can see the light of the Sun before it rises over the horizon. Some people have great desire to connect to the Light of the Creator. This desire is so strong that they can’t even wait for “the call” and are ready to go for it right now. I feel sad when I can’t see the real Mashiach in them. They all have great souls (=vessel=desire). Most of them are defined as “Crazy” by their friends. Remember that “Crazy” is a quality and a gift that G-d gave us to do more. Our sages tell us that King David, in blessed memory, asked G-d why he made “craziness” in the world. G-d told him that it is a quality that the world needs to have and promised him that one day he will thank him for that. Indeed, we know the story about Achish from the Bible, the King of Gat whose people caught King David and when they wanted to bring him to the King, King David acted like a crazy person and the king of Gat released him. (Read the full story in Samuel 1 Chapter 20). Please remember that Mashiach is from the seed of David. We realize here that there are greater powers involved with the process of redemption. Once it starts, it is unstoppable. When Mashiach comes he will have no fear, no dependency of any kind. He posses the power of Creation in his mouth. His words will create new reality and whoever will object him may die just by the vapor blowing out of his mouth. The person to be Mashiach may not know his job until the moment G-d (through Moses) will connect his soul to the soul of Mashiach. The redemption process is described as the Exodus from Egypt but with greater miracles and wonders. The Baal Shem Tov whose first name was Israel, awakened the souls of the Israelites to the spirit of Mashiach. He “tuned” his disciples, especially his close students to make a paradigm shift in the mind of the Jewish people. Like Moses in his time The Baal Shem Tov couldn’t enter the Land of Israel, because his great soul could have brought the Light of Mashiach before time. (We are getting closer to the connection to the parasha of this week, Shemini). We cannot ridicule any one that claims to be Mashiach. They are the Nadav and Avihu of the process. Their desire to do for the Light is beyond their self social preservation. If they do not have hidden selfish agenda then they are at the level of righteousness. Remember that before the Red Sea split, one person needed to go into the water, with his certainty and selfless act in order to create the opening for the others. That was Nachshon Ben Aminadav and now we have some others that help us believe that there is a real Mashiach and he is close to reveal himself. To connect to that light we need to express the love and care for each other, because this is the only force that can guarantee the coming of Mashiach soon. The world was created with the power of Unconditional love (as it is coded in the first word of the Torah with בראשית = אבגיתץ = אהבת־חנם, see my articles on Genesis). In genesis 1 it says "and the spirit of G-d is hovering over the water". Kabbalists explain that it is the spirit of Mashiach. The Torah is Water. There are 6 special letters at the top of the columns in the Torah scroll. Those letters are “ביה־שמו”, the numerical value equals to “המשיח”, the Mashiach and also equals to “משה־חי”, Moses is alive. Moshe =345 and he brought the Torah to us from above. His spirit exists in every generation as a live connection to the Light of the Torah. When we all as one (אחד=13) will be with love (אהבה Ahavah = 13), we will create the connection to Moses, 345. The two forces of Love from below and Moshe from above will create the Mashiach (=358) revelation. Then as the sages tell us, the old Torah will be voided and a new Torah will come. Many expect Mashiach to come and heal their ailments of money, health and relationships. This is like the desire to win the lottery. It is selfish. It sounds good, the plans are great but as we know only less than ten percent of the winners enjoy it. The Talmud teaches us (Tractate Shabbat 31a) about the great Hillel that was asked by a potential convert to teach him the whole Torah while standing on one foot. Hillel replied, "What is hateful to you, do not do to your neighbor. That\’s the whole Torah; all the rest is commentary. Go study it!" It is time to think outside ourselves, we want mashiach because we want to get closer to the Light. It is time to cleanse our heart with tears of true desire for the Light. It is our real lost love that we want to find again. We want to break all the selfish desires and express love to each other, unconditionally. Author Zion NefeshPosted on April 20, 2009 Categories Leviticus, TorahLeave a comment on Shemini – I\’m nearly in tears…. Tazria – Begin with the end in mind. Initially, G-d created Adam and Eve as one in order to establish a desire for them to seek each other and connect. Like us, we crave something that we have already had a taste for. A person that never tasted a good chocolate (or similar), will not have the desire for it. Adam and Eve were Zeir Anpin and Malchut on the spiritual level. G-d took them through the process of separation in order to give them the opportunity to desire and work on connecting to each other. That connection draws light to the world. The Zohar for this parasha discusses the different aspects of the connection between the male and female, and the light that flows as a result of it. "And God created man in His own image, in the image of God created He him; male and female created He them." "וַיֹּאמֶר יְקוָק אֱלֹק ים, לֹא-טוֹב הֱיוֹת הָאָדָם לְבַדּוֹ; אֶעֱשֶׂה-לּוֹ עֵזֶר, כְּנֶגְדּוֹ "
"And God said: \’It is not good that the man should be alone; I will make him a help for him "
" כְּנֶגְדּוֹ ", "for him", means in front of him. " וַיִּקַּח, אַחַת מִצַּלְעתָיו " (and he took one of his ribs). The word for rib in Hebrew is" צל " which also means side, like the side of a building. " אַחַת ","one", is in the female form. The Zohar continues to explain that G-d brought Eve to Adam as a bride to the groom and blessed them (1:28). The blessing was like the seven blessings in a wedding ceremony, the "Kidushin". Those blessings build and create the unification of the Seven Sefirot (Chessed, Gevurah, Tiferet, Netzach, Hod, Yesod and Malchut). This way a complete form of light and vessel is established. The couple is united and bonded with the spiritual system. "And Adam said: \’This is now bone of my bones, and flesh of my flesh; she shall be called Woman, because she was taken out of Man.\’"
Adam recognized the separation and called her "זֹּאת \’" (it is also a code for Malchut). "עַל-כֵּן, יַעֲזָב-אִישׁ, אֶת-אָבִיו, וְאֶת-אִמּוֹ; וְדָבַק בְּאִשְׁתּוֹ, וְהָיוּ לְבָשָׂר אֶחָד"
"Therefore a man shall leave his father and his mother, and shall cleave unto his wife, and they shall be one flesh"
Father and Mother as explained in previous commentaries refer to Chokmah and Binah, that give birth to Zeir Anpin (Male energy, "זכר ") and Malchut. Their purpose is to connect and be one "אֶחָד ", numerical value is 13, same as love "אהבה ". When a person connects to another woman, he creates a major flaw in his spiritual connection to the light and the correction of it is very hard. (Zohar Tazriah). "אשה־אחרת ", "another woman", is a woman who belongs to another man. (Please don\’t think of belonging as in property. Two parts of the same soul \’belong\’ to each other.) The Zohar uses the words "אשת־אחר " and it can be translated as a woman who is married to another man, and also a woman from the impure system. "אחר " in the Torah refers to the bad and impure side of the Tree of Knowledge. The word " עֵזֶר " "help" in Genesis 2:18 has the meaning of help and also a tool. When we rearrange the order of the letters we get "זרע ", which means seed. In our reference this is the seed that is created when a man (male energy) and a woman (female energy) unite. When we think about the process of unification and creating life, we realize how great the miracle of creation is. The numerical value of the first two letters " רז " is 207, which is the same as Light. " אור ". The third letter " ע " equals to 70, which represents the seven Sefirot (Each Sefira contains ten inner Sefirot). The light comes in with the unification. The Ari Hakadosh, explains that the first service of Yom Kippur is to open the arc, bring out Torah scrolls and recite a verse from psalms (97:11) " אוֹר, זָרֻעַ לַצַּדִּיק וּלְיִשְׁרֵי-לֵב שִׂמְחָה " ("Light is sown for the righteous, and gladness for the upright in heart."). The seed of the Light for the whole year is at that point in Yom Kippur. Opening the Arc is in the level of Chokamh and Binah (Kabbalistically called Father and Mother). The Torah scroll is Zeir Anpin, rolled in a shape of the letter Vav and held upright to channel the Light to Malchut (the world of action). The Ari gives a deeper meditation and suggest s that a man should do his best just to be able to carry one of the Torah scrolls taken out of the Arc on the night of Yom Kippur. The first Torah that is brought out of the Ark is the seed of all.
" וְיָלְדָה זָכָר ","and delivered a man child" is a result of the connection. " זָכָר " is the appearance of the light. This word also reveals the light in it with the letters of " רז "=" אור " =" אין־סוף ". The other letter is "כ ", the letter of Keter, the highest sefira. It is also the letter of the Sun. This letter also opens forward, in a giving state. "זָכָר " (=male) is and should be a channel for the Light. The Zohar talks about the circumcision, Brit (" מילה ") done on the eighth day. During the circumcision, the father, or the Mohel acting on behalf of the father, removes the foreskin, " ערלה ", which represents the Sin of Adam and Eve and the snake. The process is the first correction of the body. By removing that negativity we connect the child " זָכָר " to the light. Naming the child immediately after the circumcision is important. The name connects the body to the root of the soul of his name and it is done after the removal of the negativity. The child is now connected to Binah. It is important to understand that all our prayers are for the purpose of unifying the male (Zeir Anpin, " יקוק ") and the Female (Malchut, " שכינה "). This draws the light and keeps it flowing to this world. If all prayers and spiritual connections stopped, the world would go out of existence. The Kabbalists teach us that all of our spiritual and physical connections should start with the " לשם־יחוד־קודשה־בריך־הוא־ושכינתיה " (for the purpose of unifying the Holy one, bless be he and the Shechinah) " יה " and " וה ". And G-d shall be King over all the earth; in that day shall the G-d be One, and His name one. Author Zion NefeshPosted on April 20, 2009 Categories Leviticus, TorahLeave a comment on Tazria – Begin with the end in mind.
" כְּנֶגְדּוֹ ", “for him”, means in front of him. " וַיִּקַּח, אַחַת מִצַּלְעתָיו " (and he took one of his ribs). The word for rib in Hebrew is" צל " which also means side, like the side of a building. " אַחַת ",”one”, is in the female form. "אשה־אחרת ", “another woman”, is a woman who belongs to another man. (Please don’t think of belonging as in property. Two parts of the same soul ‘belong’ to each other.) The Zohar uses the words "אשת־אחר " and it can be translated as a woman who is married to another man, and also a woman from the impure system. The word " עֵזֶר " “help” in Genesis 2:18 has the meaning of help and also a tool. When we rearrange the order of the letters we get “זרע", which means seed. In our reference this is the seed that is created when a man (male energy) and a woman (female energy) unite.
" וְיָלְדָה זָכָר ",”and delivered a man child” is a result of the connection. " זָכָר " is the appearance of the light. This word also reveals the light in it with the letters of " רז "=" אור " =" אין־סוף ". The other letter is “כ”, the letter of Keter, the highest sefira. It is also the letter of the Sun. This letter also opens forward, in a giving state. “זָכָר” (=male) is and should be a channel for the Light. Author Zion NefeshPosted on April 20, 2009 April 20, 2009 Categories Leviticus, TorahLeave a comment on Tazria – Begin with the end in mind. VaYikra – The power of the letters. The process of transformation from Spiritual to physical is called "השתלשלות", evolving. Keter is coming from the unknown and the source of the light, Chochma, channels the light and Binah begins the process of manifestation or the forming of the vessel. (To simplify, vessel is a container of light with ability to create or cause an action in this world). The Torah has five books. The number five in Kabbalah represents the Ten Sefirot as Keter, Chokmah, Binah, Zeir Anpin (six levels) and Malchut. The first book, "בראשית" (Genesis) is Keter, "שמות" (Exodus) is Chokmah, "ויקרא" (Leviticus) is Binah, "במדבר" (Numbers) is Zeir Anpin and "דברים" (Deuteronomy) is Malchut. In Vayikra (Leviticus) we have the tools to activate and use the light. The first verse "ויקרא־אל־משה" with small Aleph initiates the connection of the Light through the Tabernacle and the Torah as "לוחות־העדות" is in the Arc. Rabbi Yosef Gikatilla in "Saarei Orah" (part "א") explains that the Aleph is for Ohel Moed "אוהל־מועד". The call to Moshe from Ohel Moed is a connection of the Light from the level of Malchut, the small Aleph. The Zohar begins the parasha with Rabbi Elazar quoting Yeshayahu (Isaiah) the prophet saying to king Ahaz, "שאל־לך־אות־מעם־י׳־אלוקיך", then asking the question "What\’s the difference between the first and the last generations?" and answers that the first generations knew the supernal wisdom of the letters and how to combine them into powerful tools to control actions in this world. Even the wicked ones in Yisrael, Like King Ahaz knew the letters of Binah and the Letters of Malchut. The first letter of the Torah is the letter "ב" of "בראשית". It signifies that the seed of the Torah is in Binah. That is where the energy comes to Zeir Anpin (The Torah). The first verse of the Torah says "בראשית־ברא־אלקים־את" that is, in the beginning G-d created “את”. Hebrew Aleph Bet was created first and "את" is the first and the last letter of it. The Zohar says that 2000 years before the world was created G-d played with the Hebrew letters. In another place it says that G-d was looking in the Torah and creating the world. This teaches us that the Hebrew letters are above all dimensions. When a scriber ("סופר־סתם") writes a Torah scroll he must be clean physically and spiritually, His consciousness should be pure and must go to the Mikveh before he starts writing. Before writing each letter he should touch the scroll with the ink to make a tiny mark and meditate on the letter Yod, "י" (to connect the letter to the upper levels) as a start for the actual letter. There are many rules on writing a Kosher Torah and even if one of them is broken, it invalidates the whole Torah Scroll and it can not be used as a tool to draw the light. There are many printing devices that can print a magnificent and accurate Torah scroll, but without the needed consciousness it cannot be used. The top of every column in the Torah scroll begins with the letter "ו", the columns in the Torah are like the letter "ו", and only in six places the letters at the top of the columns are different. Those letters spells "ביה־שמו" numerical value "המשיח", "The Mashiach"
In ten places in the Torah there are 32 dots above the letters, representing 10 Sefirot and the 22 letters of the "א־ב". They channel the 32 paths of wisdom (Chokmah). The first letter of the Torah is "ב" and the last one is "ל", together it is "לב" (numerical value 32) which also means "Heart". There are 32 teeth in the mouth for the same reason. (To channel that energy). It says "Life and Death by the hand of the tongue", "חיים־ומות־ביד־הלשון". This tells us that we are constructed to be channels for the light and that we have the ability to build or destroy with our words. The Ari Hakadosh in the beginning of "Shaar Ruach Hakodesh" (Part of Kitvei Ha\’Ari) said that with every word we say we create an angle; positive or negative depending on the word. The positive angles help us in time of need and the negative angels create blockages when we don\’t need them. When it says "ונשלמה־פרים־שפתינו" "we will pay sacrifices with our lips" it means that the power of the words are like the sacrifices in the Temple . Since the Temple is not accessible and we can not bring sacrifices to the Kohen to remove any negativity from ourselves, we read and recite the process that was done in the Temple. With this knowledge and the Ari\’s teaching on creating angels with our words, we can begin to understand the reason for all the different prayers we recite on a daily basis, Shabbat and Holidays. Another revelation from Zohar Vayikra is about Moshe who couldn\’t go inside the cloud in the Tabernacle. "ולא־יכול־לבוא־משה־אל־אהל־מועד־כי־שכן־עליו־הענן". The question is why he couldn’t go inside the cloud now when he could be in the cloud on the mountain 40 days and 40 nights before. The Zohar explains that on the Mountain the cloud was from Malchut and on the Tabernacle, it was from Binah. All the chariots and the vessels of the supernal Tabernacle were in this cloud. That was the hidden process that came from the left column of Binah, called "Mishkan and Ohel Moed" to establish the presence of the Shechinah in the lower levels and to give us support. Author Zion NefeshPosted on April 14, 2009 Categories Leviticus, TorahTags Torah CommentaryLeave a comment on VaYikra – The power of the letters. Acharei Mot – Who and what is the scapegoat? Who and what is the scapegoat? I had a very busy week studying Tazria and Metzora deeper (The previous Parashot) and writing about cancer. With all the preparation for Pesach, I didn\’t have much time to dwell on Acharei Mot and get some new insights. When in stress I take the Tikunei HaZohar volume, hold it between my hands and make a wish. Today I asked for guidance on what to write on this parasha. The Satan, which is SA\’M\’AEL (the energy that controls all negativity.). His government (control) is in the liver, and about it said in (Genesis 36:1) Esau, is Edom. The liver takes off dirt and sins (impurities) from the arteries. This is the meaning of the verse "and the goat carried all their sins on himself to land that was cut off (decreed), a place of angels. The amazing thing is that this paragraph from the Zohar relates to a verse from this week\’s parasha and also to the subject I started last week (Cancer, causes and cure. See articles on http://www.RabbiShimon.com). There are three major organs that control the body. Their abbreviation is "מלך", "King". "מוח", "לב", "כבד". Brain, Heart, Liver. Brain is the higher level and relates to the higher three sefirot (Keter, Chokmah and Binah). Keter is the entry point to the brain (soft Spot), Chkmah and Binah are the two parts of the brain. The soul level is "Neshama". Heart is in the middle and relates to Zeir Anpin (Six sefirot of Chessed to Yesod) and soul level of Ruach. Liver is the lower, relates to Malchut and the soul level of Nefesh. In the world of Malchut, we have a king inside of us. If one of those doesn\’t function, then we lose our kingdom (Malchut). Whatever comes to our mind affects our heart and circulates in the blood. The blood carries the basic level of the soul that keeps us alive. The high priest takes the two goats and by drawing he picks one of them for offering to G-d, which is elevation and the other one will be sent to the wilderness. The drawing is made to indicate that both goats are initially equal. Lev. 17:11 says "For the life of the flesh is in the blood; and I have given it to you upon the altar to make atonement for your souls; for it is the blood that make atonement by reason of the life." Our thoughts (brain) turn to actions (Heart and blood circulation). The liver (malchut) processes it all and sends the blood back to the body. If we don\’t correct impurities that we brought on ourselves, it will manifest from the soul level to the physical level. The blood is the mirror of the soul. Keep your soul clean. Remember! We are the "King" of our body. Whatever we do with it affects our soul and reflects in our body. There is the external body language and there is the internal body language and it is written in the DNA. In Yom Kippur we read from this parasha to draw the energy to restore our DNA to normal. Don\’t be a scapegoat. Wear your crown and rein over your kingdom. Watch your DNA! I will refer to these chapters again in my articles about Cancer – causes and cure. Author Zion NefeshPosted on April 14, 2009 Categories Leviticus, TorahTags Torah CommentaryLeave a comment on Acharei Mot – Who and what is the scapegoat? The system presents us with challenges along the way to accomplish our goals. We can never enjoy success if we don’t overcome the obstacles. Even if you are the fastest runner in the world, you will not be satisfied until you compete and win other top runners. (Leviticus 2:13) Season all your grain offerings with salt. Do not leave the salt of the covenant of your God out of your grain offerings; add salt to all your offerings. The ultimate challenge is the winning over your SELF. ‘Your’ is your soul and ‘SELF’ is your body. It has its own consciousness and desires and even if the soul governs the body, the body dictates what, when and how to do everything. The body gravity is so strong that it contaminates the pure soul. The soul (part of the divine) gets into the body with mercy. It is a gradual process that starts in the dark, in the protection of the womb. When the process of bonding the soul with the body gets completed, they start their process in life. The soul comes from the divine and the body that created in the level of Malchut, comes from physicality. They don’t really like each other and the first opportunity that the body gets damaged, the soul is happy to leave it. The soul needs the cleansing to continue to stay with the body. Now what is the connection between this and Vayikra? We were given the system and the Torah as a guide to use it. The Tabernacle was provided as a tool to draw the light of G-d and sustain existence. G-d wants to leave us alone so we can enjoy the freedom to work and achieve our goals by ourselves. Since there are and will be challenges, we are at the risk of hurting ourselves, and especially our souls. In Vayikra G-d provides us the technologies to purify our souls from contamination through the Priests and the Levites. The process involves slaughtering of animals, splashing and pouring their blood against the Holy Altar and salting and burning them. How does this purify us from negativity? The animal is a living creature that we own and bring to the priest to transform its body (physical) to spiritual. The blood is the carrier of the soul and when it separates from the body of the animal the soul ascends up (spiritually). The salt is a substance that has the highest desire of the self and it draws the blood into it. Salt “מלח” in Hebrew has the numerical value of 78, which is 3 times 26 (3 is for the three spiritual columns (right left and center), 26 = the value of the Tetragramaton). The Altar, “מזבח” has the value of 57 (זן) and (אוכל), both words are 135 + 2 for the Kolel(adding 1 for each word) = 137, which is “קבלה”, Kabbalah. This process creates the channel and opportunity for the light of the creator to be revealed. This light cleanses the person or the people that connect to this specific offering. You may know the word and you may know the Hebrew meaning of it, but what it really means is a port to connect to the upper dimensions and to the Light of the Creator. This port of “קבלה” is concealed in the Bible under the word “מצבה” “Pillar”, they both have the same numerical value. Read Genesis 28:17,18, Genesis 31:13, Deuteronomy 16:17, Exodus 24:4 and Hosea 3:4 for some examples that help us understand the connection of “מַצֵּבָה” (קבלה) as a portal to connect to the light. 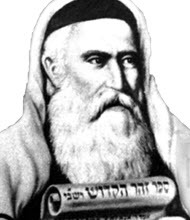 Rabbi Shimon Bar Yochai, created the books of the Zohar immediately after the destruction of the second Temple. It is the main writing of Kabbalah and it gives us the opportunity to connect to a light that was not available since the times of the Holy Temple. Own the Zohar and recommend it to others. Bring people to subscribe to this list of Torah and Kabbalah insights. When we are connected to the port of Kabbalah, our soul is cleansed. We are then able to channel and reveal more light in the world. This is the way of the kabbalists. Be one. Author Zion NefeshPosted on April 14, 2009 Categories Leviticus, TorahTags Torah CommentaryLeave a comment on Shemini – I\’m nearly in tears….